We regularly spend time in the capital city of Dublin with our guests, whether it’s an airport pickup in the impressive Dublin Airport or taking guests on tours around the area. It’s a well-known tourist destination for many reasons – history, churches, museums, culture and music; you’ll find it all in Dublin. However, if you’ve had enough of the city during your stay, give us a call and we can whisk you away on a day trip to one of the many great attractions within an hour’s drive of the city centre. One of our favourite places to go, especially in summer time, is Howth. Just 40 minutes from Dublin, it’s a gorgeous seaside village on the coast of the Irish Sea. We were last there in August with visitors from Australia, Pauline and Frank. They were staying in a city centre hotel visiting their daughter who was studying in Trinity and decided to escape the city of a Monday while she was in classes. We ventured out to Howth just before noon and were lucky enough to enjoy some watery sunshine and light breezes as we reached the promenade. A great destination for a good hearty walk, it’s a regular Sunday drive destination of the city dwellers of the capital. If you continue on from the Promenade you can proceed along the cliff walk which will bring you right around by the headland and cliffs and you can then loop back to return to the village. We cheated though and drove with Pauline and Frank as far as the car park to take in the views without having to make the hike! That’s just one of the great benefits of booking a tour with one of our drivers! As we spotted from our great view point, just off the coast of Howth is a small island known as Ireland’s Eye. If you have the time, grab the boat off the East Pier to explore all the wildlife and the only remaining buildings, a Martello tower and ruined church. The last time we were there, we went in the height of the summer and the sounds of the seabirds were magnificent. If you’re lucky you might even spot some seals dipping in and out of the shallows. The view of the Irish coastline from this vantage point is really something else, we’d highly recommend making the trip! When we made it back to the village the sea air had really worked up an appetite in all of us. We suggested arguably one of Ireland’s best fish and chip shops, Beshoff’s. It’s a staple for families coming to visit Howth in the summertime. Our guests were blown away by the quality and mouth-watering flavour of the salt and vinegary chips and fresher than fresh cod fillet. When they returned to Dublin again they were refreshed and had some great photos to show to their daughter that evening. 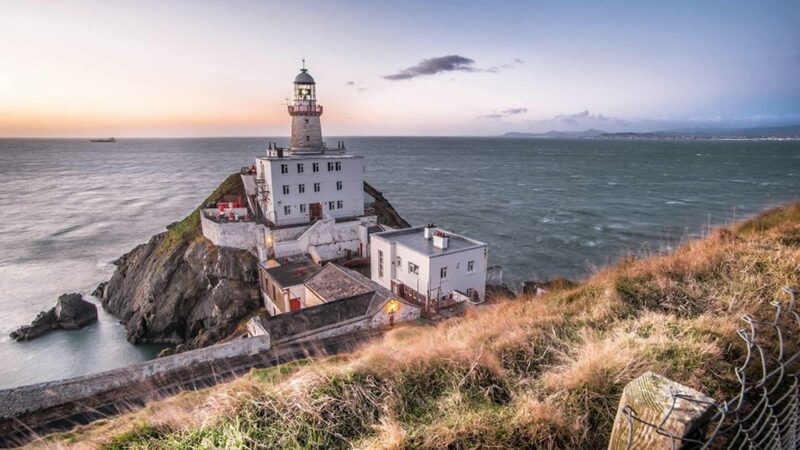 Visiting Howth is a great way to unwind outside of the city centre hustle and bustle while you’re staying in Dublin, just 40 minutes away and full of great attractions.